IT is easy to say "sorry". The Japanese use it on a daily basis without fail. Words like "gomen ne" (so sorry), "shitsurei shimasu" (deeply apologetic) and "sumimasen" (excuse me) are part of the elaborate civil codes of Japanese society. They keep Japan operating like a smooth social system without any kinks; not unless one is a Japanologist superb at understanding the trials and tribulations of the Japanese modern lives, which are full of acute stress. Goldman Sachs, through its new chairman David Solomon, just "apologized" to the people of Malaysia. One wonders if David Solomon has even stepped into any part of Sabah or Sarawak. The reason why David Solomon, and the entire Goldman Sachs needs to understand Malaysia anew, invariably, from the standpoint of Sabah and Sarawak first, is the degree to which Goldman Sachs destroyed the hopes and finances of Borneo completely. The amount of US$7.5 billion is not what the Malaysian Government wants or demands from Goldman Sachs merely. Rather, Malaysia should ask Goldman Sachs, why did it repeatedly enable – and empower – the likes of former Prime Minister Najib Razak and Jho Low until they could leverage on an endless line of credit from 2012, if not earlier? What Goldman Sachs did was the financial equivalent of issuing a black credit card – without financial limit – to a gambling addict. And, true enough, hundreds of millions if not billions, were splurged by Jho Low and his sidekicks, in addition to ex-Prime Minister and his ilk, in casinos, world-class shopping centers and art exhibitions, and many other material comforts, to an umpteenth extent. Thus it bewilders the mind that all Goldman Sachs can do is to say "sorry." What Goldman Sachs did was nothing less than what all peddlers of the "white powder" (cocaine) can and have done. They push the intoxicant, in this case, an endless line of credit to 1MDB, not only without due diligence but to sheer criminal neglect. Not surprisingly, what confronts Goldman Sachs now is not a civilian 1MDB case but a criminal one, under the United States Department of Justice (US DoJ). Thus a mere apology – contrite or otherwise – is not merely insufficient but a frontal affront to the national sovereignty and security of Malaysia on three grounds. First of all, Goldman Sachs did not acknowledge that the financial credibility of the Malaysian Government has been hit. Yet Malaysia is an economic entity that operates on the basis of what government-linked investment companies (GLICs) and government-linked companies (GLCs) do. Close to 70 per cent of the Kuala Lumpur Stock Exchange is affected by the performance of the GLICs and GLCS. What Goldman Sachs did, by ensuring an uninterrupted flow of credit and bonds to Malaysia, at a commission rate of 7.5 per cent, almost 700 to 750 times more than what the market demands, is nothing less than an economic crime against Malaysia. Had 1MDB collapsed, without the Ministry of Finance Incorporated absorbing it, the entire economy of Malaysia would have suffered a meltdown not unlike what was witnessed in the Asian financial crisis in 1997-1999. Secondly, had Malaysia failed, not unlike how Indonesia did in that period, Malaysia would have dragged down the entire regional economy of, not just Southeast Asia, but the entire East Asia. Wasn't the East Asian currency crisis in 1997 triggered by the balance of payment crisis in Bangkok, Thailand which in turn led to the fall of Indonesia, Korea and even at one stage, Hong Kong ? 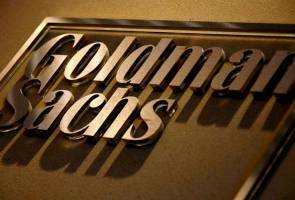 Thirdly, Goldman Sachs did not take into account the degree to which it had weaponized 1MDB. By allowing 1MDB to latch on to the name of Goldman Sachs to borrow up to US$7.5 billion, which is close to 10 per cent of the foreign reserves of Malaysia, Goldman Sachs was laying a financial trap not merely for Malaysia but the entire East Asia. If what David Solomon can do is to express a parse apology to Malaysia rather than to the entire East Asia, if not the whole world, then the Attorney-General's Chambers in Malaysia deserves to sue Goldman Sachs until its pants drop, if not already. Finance Minister Lim Guan Eng have repeatedly said Goldman Sachs needs to pay back US$7.5 billion to Malaysia. He is so kind. I would ask for a double if not triple as a payback, compensation and exemplary damages! * Datuk Dr Rais Hussin is the Parti Pribumi Bersatu Malaysia chief strategist. ** The views expressed here are strictly of the author's and do not necessarily reflect Astro AWANI's.